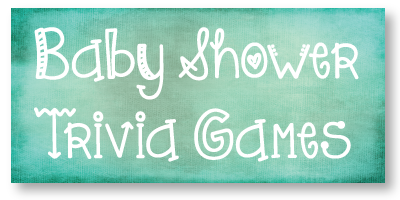 The phrase "Baby Shower Trivia Games" is one of the most searched for terms on this website! Once I discovered this interesting fact, it only made sense to find all of the trivia related baby shower games I could - and share them with you! So here it is! A page that is all about fun and exciting baby trivia games! Trivia games that you can purchase from other websites and have them shipped to you. If you don't feel like typing your own baby shower game up, we have created a downloadable game that you can easily print from home. It has 9 random, off-the wall, baby questions that guests must try to answer! The winner gets a prize! Maybe a Trivial Pursuit game? Since they are trivia buffs! Type the questions out on the computer and make them into a multiple choice games, giving 3-4 answers to choose from for each question. Hand a game sheet, pen, and magazine (hard surface to write on) to each guest at the baby shower. Give guests 2 minutes to complete the questions. The person that has the most questions right wins a prize! If there is a tie, a great tiebreaker is to ask the winners how many children the mom-to-be wants to have. Have mom answer and the guest who comes the closest wins the game! Here Are Several Amazing Baby Facts That Most People Don't Know..
Use these facts when creating your trivia questions. Turn them into multiple choice questions or fill in the blank style questions. Babies can actually crawl right when they are born. It is called the "Breat Crawl." A study was done on several babies in 1987 - where immediately after the baby was born, they laid them on their mother's chest and they were able to find the mother's breast by crawling up to it, within an hour. Newborns do not shed tears until they are 1-3 months old. Babies have more bones than adults do. Babies have 300 bones and adults only have 206. As we age, our bones fuse together at the skull and spine, decreasing the total amount of bones we have. Babies double their birthweight in 5 months. In the womb, babies are covered with a thin layer of hair called lanugo. 80% of babies are born with birth marks. A baby cannot taste salt until it is 4 months old. Ann Turner was the original Gerber Baby. Write down several facts about the expecting mom such as where she was born, favorite food, how many kids she wants, where she went to school, color of her eyes, dream place to live, etc. Do the same for the dad-to-be. Have guests determine which fact goes to which parent by writing MOM or DAD next to each fact. The one that has the most answers correct wins a prize! Who Knows Mommy? Who Knows Daddy? Think you know the mommy-to-be the best? You are in for a surprise! This baby shower trivia game is similar to the game described above, only you can choose to play an "all about mommy" version or an "all about daddy" version. Have guests answer the questions and see who really knows mommy (or daddy) the best. 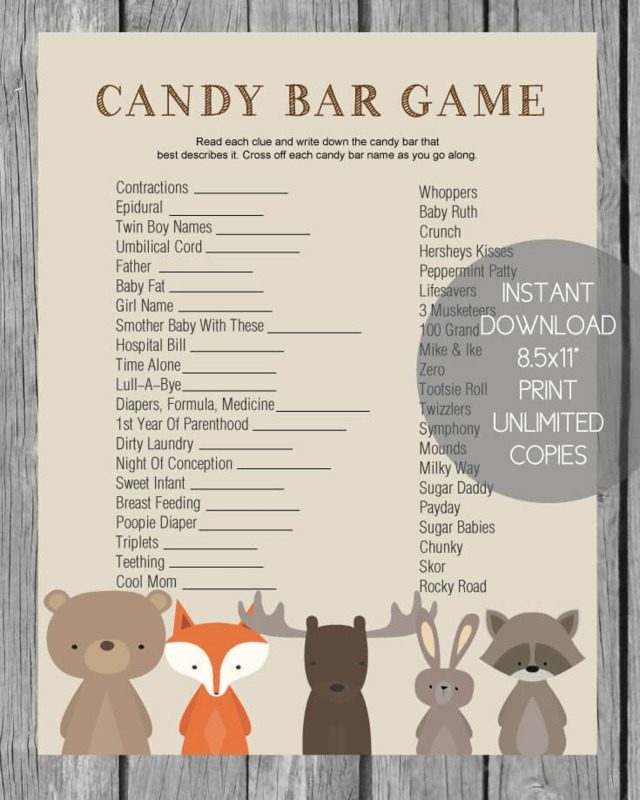 This is perfect if you are looking for coed baby shower games! (or jack and jill shower games - as some like to call it) Get the men together to see "Who Knows Daddy" the best! This is a printable game that you download right after purchasing. Great if you are in a time crunch and don't have time to make your own or have one mailed to you. This is a traditional baby shower activity that is played at almost every shower! Have guests predict the babies birth date, weight, time of birth, and leave special wishes for the new baby. The person who gets the most answers correct wins a prize! Usually something nice like a gift card or gift basket. Have guests write down their name and phone number so you can call the winner after the baby has been born. Another way to play this game is to turn it into a raffle. If a guest wants to join in the fun, they must put $5 into the pot. Then the winner with the most correct answers, wins the pot of money!